I’m not normally a huge sweets person, but when I get a craving for something sweet I have to have it like, right away or the craving will get worse, and I’ll end up eating an entire box on donuts, and we all know how bad that is for you. 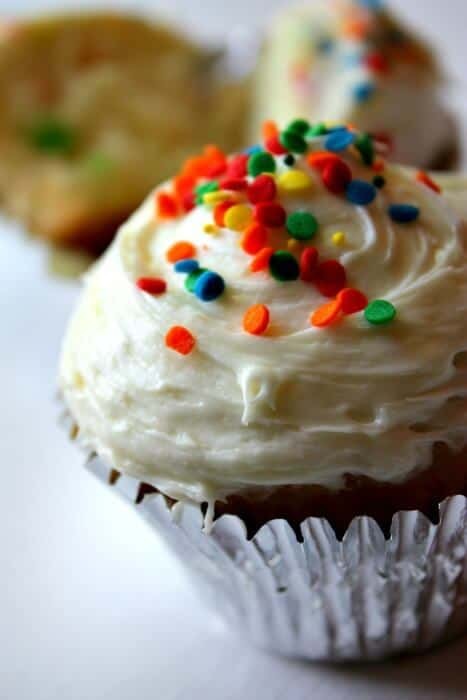 Cupcakes are one of my favorite ways to cure a sweet tooth. They are easy to make, proportioned, and something the entire family can agree on. As some of you know, recently we have hopped on the Weight Watchers train and so I’m always looking for yummy recipes to share with you guys. And that delicious looking cupcake up there? Oh yeah, its weight watchers friendly. 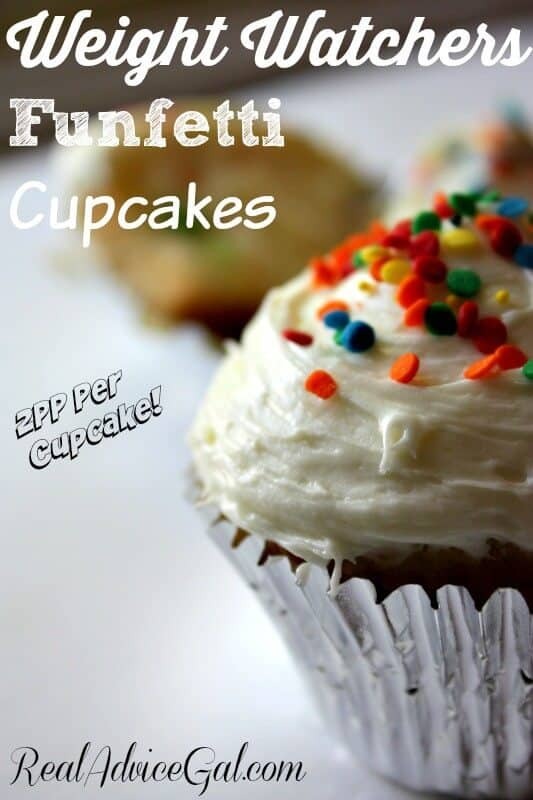 Only 2 PP per cupcake actually. Can you believe it!? Lets check out how to make them shall we? Step 1: In a bowl mix together your cake mix and Sprite Zero. Do NOT follow the directions on the box. You literally only need the flour mix and sprite. Step 2: Preheat your oven to 350 degrees. Line 2 cupcake pans (24 total) with cupcake liners. Pour 1/4 cup of batter in each liner. Step 3: Bake cupcakes at 350 degrees for 20 minutes. Step 4: Make your frosting by combining your whipped topping and pudding mix. blend until smooth. 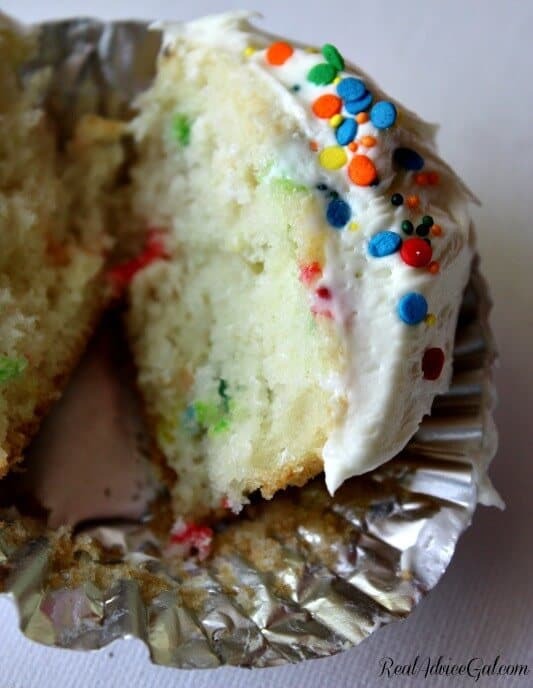 Frost cupcakes once they have cooled completely. Step 5: Eat and destroy the evidence ha! You guys, how easy was that to make? At only 110 calories and 2PP you can have one guilt free whenever that sweet tooth hits! Enjoy!